There’s a saying that ‘you shouldn’t put all your eggs in one basket’ and this rings true for bank accounts. While it is convenient to have all your finances located at one bank, what happens in the event that the bank’s systems are down and you can’t access your money for a little while? Or, a more common scenario my clients have faced is having their bank account frozen due to missed debt payments. This makes their financial situation more frustrating because they can’t access their chequing account to take care of their other bills and rent. Even though having one bank account can be convenient and may seem cheaper, on today’s show, I share 3 reasons why you should bank at more than one bank for your own protection. Banks will often give you a discount or waive monthly fees if you have all of your financial products with them. With this said, they will also make changes to their service charges at any time. Since you have only the one account, comparison shopping is harder. Banks know this. They’re well aware of what a hassle it is to change banks, so they rely on you leaving everything as is. This way, they can continue to charge you high prices, even if you initially were given a discount. With two bank accounts, you can compare the costs of specific services and make changes quickly if you need to, without any hassle since your second bank account already exists. That’s the problem with only banking with one bank: You get lazy. You assume the bank is giving you the best deal, even when they aren’t. In addition to lower service charges, banking at more than one bank means access to more services. For example, did you know that two big Canadian banks actually offer you free credit reports, with credit scores? By not knowing about this service you might go and get a free credit report from a place like Borrowell instead, which could do more harm than good to your financial situation. Now, this is just an example of a service, but my point is that when you limit yourself to one bank, you’re also limiting your options. Perhaps the most important reason for why you should bank at more than one bank is freedom to control your finances. I mentioned at the start that some of my clients have had their only bank account seized or frozen. It happens. And if you only use one account, it can be very difficult to continue managing your living expenses when you can’t access your money. For example, I once had a client named Rob, who was self-employed. Because of an error his accountant made, his taxes didn’t get paid on time and the government froze his bank account. He had no access to cash and no account into which he could deposit money from his clients. Needless to say this was not an easy ordeal for Rob. The moral of the story is: If you have debt, are self-employed, or believe you could be at a higher risk of having problems with your bank, it’s always safer to have a back-up bank account with some money in it so that you aren’t left desperate for cash in the unfortunate event of an account seizure. It is never a bad idea to protect yourself, both from the bank, and from stuff that can happen. For a more detailed look at why you should bank at more than one bank, listen to today’s podcast or read the complete transcription below. 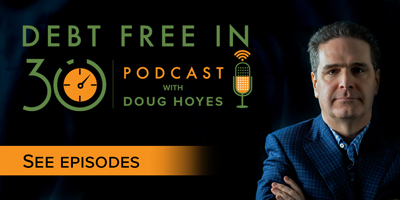 Doug Hoyes: Today I’ve got a relatively short podcast for you, because I only want to give you one short, but important, piece of advice. You should bank at MORE than one bank. Now I know, that goes against the conventional wisdom. The conventional wisdom is that you will get a better deal, and your life will be simpler, if you pick one bank and do all your business with that one financial institution. A typical bank account these days can carry a monthly fee of 10 or 15 dollars, but if you have a loan, and a mortgage, and some investments, and a credit card with that same bank it’s not that hard to get them to waive fees or give you some other free perks, like no charge money orders, or whatever. Lower fees may be a benefit to doing all of your banking at one bank or credit union. I also understand the concept of convenience. You don’t want to be racing around from bank to bank to do your banking. Having everything in one place keeps life simple. Of course, you probably do all of your banking electronically so I don’t think you are actually driving from bank to bank, but I get the point: it’s a hassle to be transferring funds from one bank to another to pay bills and do your other typical financial transactions. So if service charges are less if you only deal with one bank, and if it’s more convenient to only deal with one bank, why am I suggesting that you should bank at MORE than one bank? Didn’t I just say that you can get a better deal if you only bank at one bank? That’s true, but it’s not a guarantee. You go to the bank, and they convince you to switch everything to them, and they offer you a great deal on fees. No fees, low fees, whatever. You take the deal and make the switch, because you know you will be paying less than what you are paying now. It makes sense. But then, six months later, you get that form letter in the mail that says “we are changing our service plans to serve you better; some of our fees are going down, some are going up, here’s a list of changes, they all take effect next month”. You read the letter, and you look at the “convenient” chart they put with the letter of all the new service charges, but it’s not easy to understand. The fee for a money order is going up, but you get more Interac transfers for free; is that a good deal? You only know if you go back through your records and figure out how many money orders and Interac transfers you typically do, or will do in the future, so you can figure out how these changes will affect you. But you are busy, and it’s a hassle to change banks, so you just leave everything as it is. They gave you a good deal when you signed up, but then they changed the deal, assuming you wouldn’t notice, and now you are paying higher fees. So how does banking at two banks change this? Well, if you have two different accounts, you can compare the costs at one bank to the other bank, because you bank at two places. And, more importantly, if one bank decides to charge you more for money orders or Interac fees, it’s easy to get those services from the other bank, because you already have two bank accounts open and up and running. It’s no hassle to switch, because you have already switched. That’s why having two different banks can save you money. I’ve been with the same bank for many years. I have a credit card from the bank, and that card gives me cash back on every purchase. I don’t need reward points or airline points, so cash is good for me. I’ve used the card for years. But then, a few months ago, the bank sent me a replacement credit card. I didn’t ask for it, my card was not expired, but they sent me a replacement card. Well according to the letter, the bank has decided to discontinue the cash back card that I have, and replace it with another card, “to serve me better”. When I read the fine print, the new card is not as good as the old card. I don’t get as much cash back. I did some research, and found a card at a different financial institution that is even better than my old card, and certainly better than my new replacement card. Why didn’t I find this new card a few months ago? Because when you’ve been with the same bank for decades, you don’t think to look around and compare your options. It was only because my bank decided to change my card that I got around to looking for other options. That’s the problem with only banking with one bank. You assume the bank is giving you the best deal, even when they aren’t. And when I say “best deal”, I’m not just talking about fees; you may also not be getting the best service. For example: what are your bank branch hours? Some banks are open late, some aren’t. If being able to go to the bank later in the day, or on the weekend, is important to you, a different bank may serve you better. If you only bank with one bank, you don’t know what other banks offer. 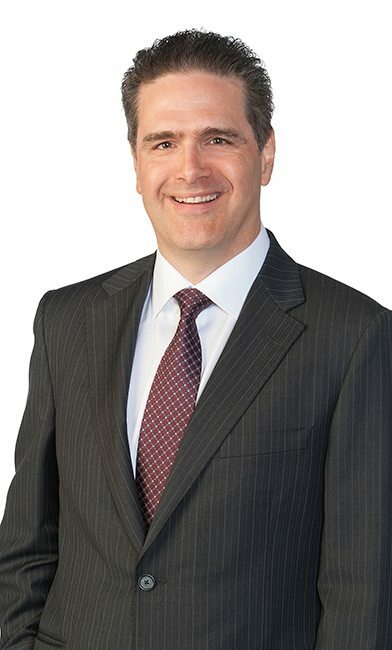 I know of two big Canadian banks that offer free credit reports, with credit scores. You log in to your on-line banking and click a button, and there’s your credit report. No cost, no hassle, and it doesn’t show up as a hit on your credit report. Did you know that free credit scores was even something a bank can give you? 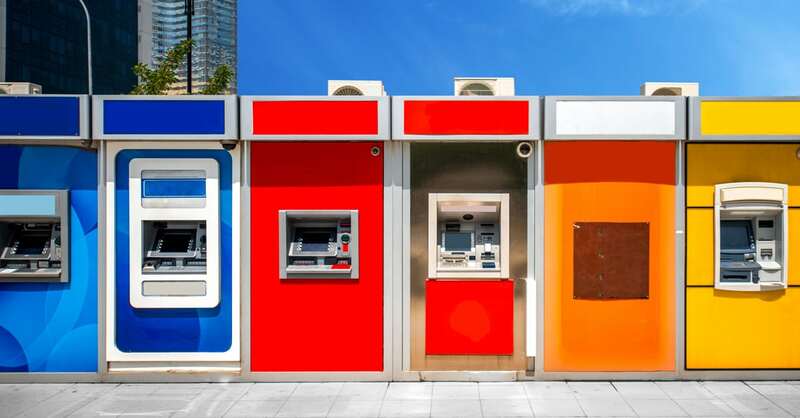 If you only bank at one bank, and your bank doesn’t offer that service, you may not realize it, but if you have more than one bank, you can pick and choose which services are right for you. So problem #1 with only banking with one bank: you may be paying more in fees, or you may not be getting the service that you could be getting at another bank. With one bank, the bank controls you. You lose control. Rob is self-employed. Due to an error made by his accountant, his taxes didn’t get paid on time and the government froze his bank account. He had no access to cash and no bank account to use to deposit money from his clients. Rob’s story is not unique. I’ve heard it many times, with slightly different details, but the details aren’t important. If you have only one bank account, and your bank account gets frozen, or seized, or has some other problem, you have no access to money. We live in a cashless society. You probably spend a lot more each month on your debit card or your credit card than you spend with actual cash, so having access to your money in your bank account is very important. So, what’s the solution for Rob? Well, he should hire a better accountant, to make sure his taxes are paid on time. Also, he should stop blaming his accountant. If you want to be self-employed, it is your responsibility to understand your obligations, including tax payments, and get them paid on time. And, of course, it would be really helpful if he had a second bank account. Perhaps your taxes didn’t get paid. Perhaps it’s your fault, or perhaps the government makes a mistake. I know, hard to believe, but it could happen. A few weeks ago I got a letter from Canada Revenue Agency saying that my company owed a lot of taxes. So I called CRA, and I got a really friendly guy on the phone. I know, I got a guy from CRA on the phone, but stay with me, this is a true story. He looked into my account, and he said “oh, I see what happened, we applied your payment for last year to your installments for next year! That’s why we think you owe us the money. Our mistake, we’ll fix it, don’t worry about it”. Okay, all’s well that ends well, but what if I hadn’t read the letter? What if it got lost in the mail? What if I ignored it? What if my phone call was not answered by the friendly guy at CRA? If it went on long enough, my bank account could have been frozen. I’m giving you the example of a CRA problem, but what if there was a problem with your credit card payment, or some other payment? What if the hydro company makes a mistake and takes out too much money on your monthly pre-authorized payment? Of course they will fix it and refund your money, but what if that takes a week? What do you do for cash in the meantime? What if your identity gets stolen, or your password is compromised? Or what if the bank has a computer malfunction and you can’t access your account. It happens. Or what if you are a really rich guy, and you have hundreds of thousands of dollars on deposit at the bank? CDIC insurance only covers the first $100,000 you have on deposit, so if you have an account at one of the lesser banks, you may be at risk. There are dozens of possible reasons why you may not be able to access your bank account, and that’s why my advice is to have more than one bank account. If you are going to open a second bank account, it should be at a different bank, and it should not be at a bank where you have any debt. The first part is obvious. If the bank’s computers go down, having two accounts at the same bank doesn’t do you much good. The more important part is to have an account at a bank where you don’t have any debt. If you have a credit card at ABC Bank, and you bank at ABC Bank, and you forget to make your payment, it’s easy for ABC Credit Card to go into your ABC Bank account and take the money. And yes, I realize you should not be missing your payments, but sometimes stuff happens, and if it does, you don’t want the hassle of someone taking money out of your bank account without your knowledge. If simplicity is the most important factor in your financial life, and if you don’t have any debt that you are worried about getting behind on, and if you aren’t worried about your bank’s systems crashing, go ahead and do all of your banking at one bank. This is often the best answer for people with relatively simple financial situations, like students or seniors. If you would like to have back-up access to a small credit card or cash in the bank in the event that there is a problem with your bank, open a second account at an online bank, one with no fees, and leave a few bucks in that account for emergencies. Finally, if you have debt, or are self-employed or at a higher risk for having issues with your bank account, bank with two banks. Have one bank as your main account and main credit card, and that can be the bank where you owe money. So if you have a credit card and a mortgage with ABC Bank, it makes sense to bank with ABC Bank. But, for greater protection, only leave enough money in ABC Bank to cover this month’s bills. All other money, including your savings accounts, should be at another unrelated bank where you don’t owe any money. That should be an account where you don’t pay your debts from, so that your creditors don’t know that account exists. It’s your money, and you can do what you want with it. As always, a full transcript of this show can be found at hoyes.com, that’s hoyes.com. Next week I’ve got a special show for you; it’s our last show of the season, and I’m going to discuss some of the personal finance lessons we can learn if the car company Tesla goes bankrupt. So until next week, thanks for listening, I’m Doug Hoyes, that was Debt Free in 30. Why Do I Need To Switch Banks? I Love My Bank. Why Is Cash Store Filing for Bankruptcy Protection?